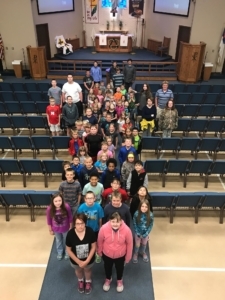 Zion Lutheran School provides a Christ-centered education with a high quality curriculum and excellent staff. If you are looking for a change of educational pace or just feel your child would thrive in a smaller, more individualized environment, Zion is here for you! We welcome all faiths to experience a higher level of education. Through Christ-centered curriculum and loving staff, we will welcome you and your child into our family with open arms and hearts that believe the best of each of our students. No matter what grade your student is currently in, he or she will find a place of belonging here. Enrollment is always open, so call to schedule your Educational Success Consultation today. We can’t wait to meet you! *Don’t forget to ask about how you can apply for financial aid, too.